A basic to building a website is adding text. This video and the instructions below it explain how easy it is to add text to your Website Builder website. 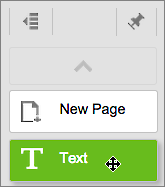 You can add text to any page on your website, using a text box to create new text or copy text from other documents. Note: Under the European Union's General Data Protection Regulation, websites are required to give visitors from all EU countries the option of accepting the placement of data files (cookies) in their browsers or leaving your site. You can use a text box for that purpose (like the one in Step 5), though you should seek legal advice about the exact text used. 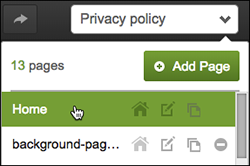 Click Preview to see how your text book looks, and if you're ready, click Publish. To change your text's color, font, or styling, and other details, see Change text .